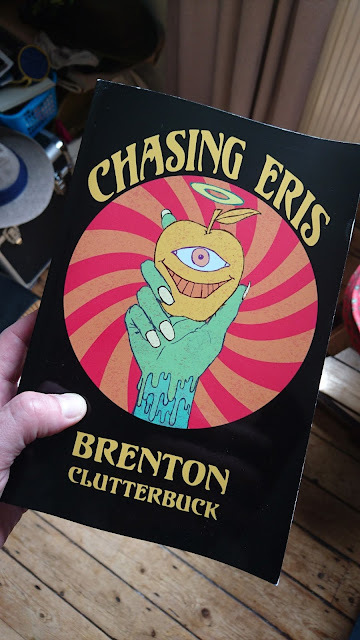 Brenton Clutterbuck's Chasing Eris, about his encounters with Discordians around the world, is now available as an ebook. I just bought my copy. It's in the Epub format, which can be read by a variety of apps on your phone, tablet, computer, etc. Access to the paperback version on Lulu has been taken down for a few days so Brenton can fix a couple of mistakes, but it will return soon. Don't forget that the book includes an introduction by John Higgs.